Director of the Tecgraf Institute - Tecgraf/PUC-Rio, since 1987. 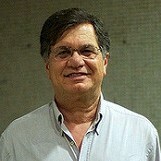 Professor at PUC-Rio since 1975, in the Civil Eng. Department up to 1992, currently at the Computer Science Department. Ph.D. in Computer Graphics & Civil Engineering, Cornell University USA, 1982. M.Sc. in Structural Engineering, PUC-Rio, 1977. B.Sc. in Civil Engineering, PUC-Rio, 1975. INF2608 - Foundations of Computer Graphics (in portuguese). INF1761 - Introduction to Computer Graphics (in portuguese). INF2064 - 3D Computer Vision (in portuguese). INF1010 - Advanced Data Structures (in portuguese).